Got your wedding theme in mind but not sure which wedding dresses will complement it? No problem! The wedding dress experts at Romantica of Devon are back to suggest some gorgeous gowns that will fit your theme perfectly. 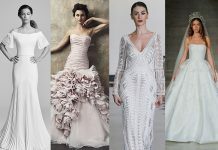 Whether you’re planning a glamorous 20s-inspired celebration, a rustic country garden theme or a full-on fairytale extravaganza, we’ve found the perfect wedding dresses for you! This stunning design by Phil Collins Bridal would be perfect for a 1920s-inspired big day. The elaborate lace and beaded droplets help to create a lavish yet vintage feel. The chiffon skirt helps to keep the design sleek and graceful while creating that silver screen silhouette. The plunging v-neckline keeps this dress bang on trend for a Great Gatsby theme – style PC3318 seems to ooze class, just like Daisy Buchanan herself! Biscay is one of the latest designs from Opulence Bridal and it would be perfect for that quintessential English country garden wedding. This T-length design has that certain whimsical feel that you would associate with this pretty, feminine theme. The lace motifs frame the collar bone effortlessly and the three quarter-length sleeves are edged with beautiful floral lace, which helps to create a vintage feel. The soft tulle skirts keeps the design light – Biscay would still look amazing even if you wore it with a pair of wellies! 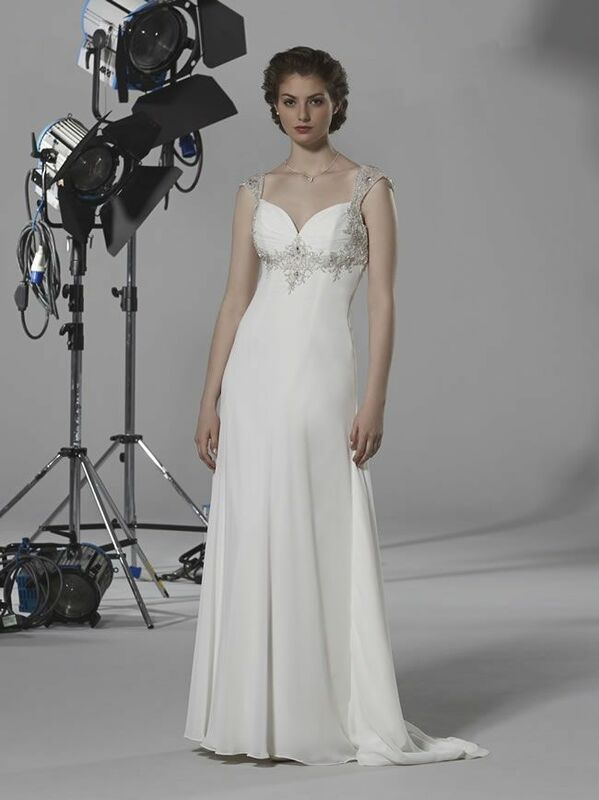 This fabulous design is by Olivia Grace Bridal and it is aptly named Swan Lake. The bodice is overlaid with sumptuous lace and the spectacular beaded empire band is a real show-stopping feature. The fit-to-flare shape gives the dress a real Hollywood/red carpet feel which is enhanced further by the statement skirt, composed of ostrich feathers and luxurious organza layers. With this amazing combination of lace, bling and feathers this was always going to be a perfectly glamorous design. Every girl wants to feel like a princess on her big day and this stunning design by Pure Bridal is perfect for this theme. The full tulle skirt is a required trait for any princess dress and Brooklyn definitely fits the brief. Layers of tulle create a fairytale feel while the delicate lace and crystal detailing which adorn the fitted bodice help to give the design and softer and daintier air. Romantica’s Oceana is a perfect option for that beach theme/destination wedding. Flowing chiffon makes the dress lightweight and the beaded straps give this gown that something extra which some destination dresses can sometimes lack. The beaded detailing around the empire line gives the dress a real ‘wow’ factor while the rest of the gown remains simplistic for a fabulously chic feel. 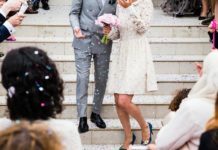 Previous articleMusic for weddings doesn’t have to be traditional – take a look at these fun ideas! Next articleNew wedding shoes will keep you dancing all night!